Presta valves | Birmingham Hardcourt Bike Polo, UK. Helpful red crab indicates titular valves. Presta valves are annoying to laymen, newbie cyclists and polo players in particular. They are, more often than not, tall and spindly and hence fragile. If they take a direct hit from a ball they’ll probably pull out of the rim leaving you floundering with an airless wheel. In a tournament, you’ll then be subjected to the ‘evolving’ time out ‘rules’ of bike polo which few people are familiar with or agree upon. In some circumstances you’ll be able to call one as soon as your team has possession. In others you’ll have to wait until your team has conceded a goal. In some tournaments it will depend upon the whims of the ref or the heckles of the spectators. In my experience at this year’s National Championships, you’ll be unaware and confused by 50-ish spectators each shouting unintelligible and contradictory advice, and will instead choose not to make any fuss by attempting to get back to goal and stay there. However, you will have literally no front-wheel grip and will instead repeatedly foot-down and tap-out before losing your first game 5-0. 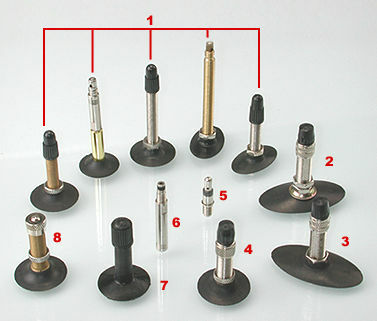 I did some cursory research about presta valves, but it’s too boring to re-produce. Suffice to say, I reckon schraeder is better unless you have rims too skinny to squeeze them in. In which case, you should get over your roadie pretensions and get some fatties. On the plus side, if your goalkeeping opponent has a presta valve, you may on occasion score through their spokes and take their valve out with a loud POPishhhhhhhhh, which is more satisfying even than the wheelie-goal!